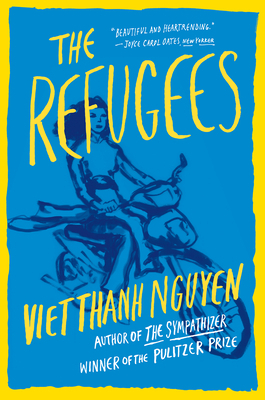 Viet Thanh Nguyen was born in Vietnam and raised in America. He is the author of The Sympathizer, which was awarded the Pulitzer Prize for Fiction, the Andrew Carnegie Medal for Fiction, the Center for Fiction First Novel Prize, the Edgar Award for First Novel, the Asian/Pacific American Award for Literature, the California Book Award for First Fiction, the Dayton Literary Peace Prize, and the National Book Critics Circle Award. He is also the author of the nonfiction books Nothing Ever Dies, a finalist for the National Book Award, and Race and Resistance. The Aerol Arnold Professor of English and American Studies and Ethnicity at the University of Southern California, he lives in Los Angeles.